Saunas aren’t commonplace for people in warmer regions of the world. That’s because, in places like Birmingham, Alabama, you can walk outside and feel sauna like effects. Colder regions of the world, especially in Europe, use saunas more often. 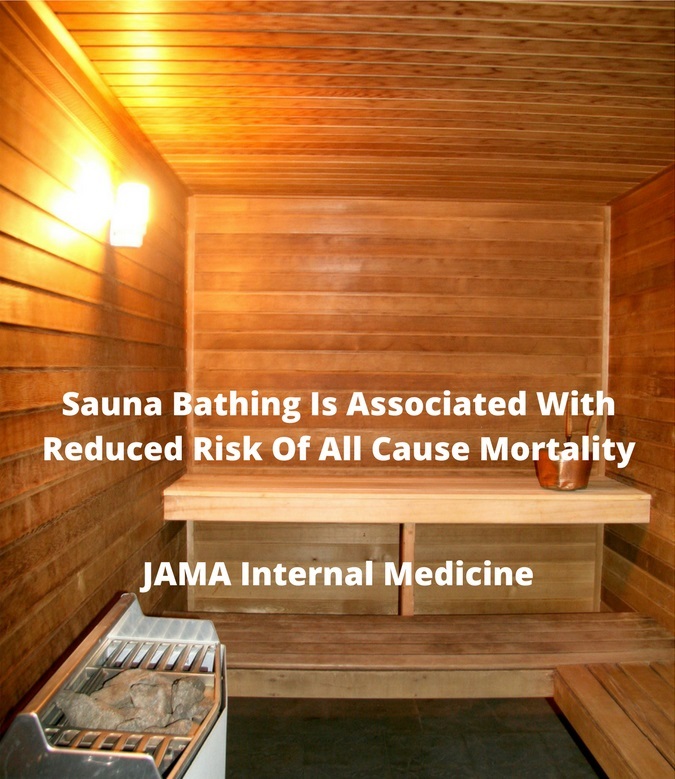 Fortunately for those users, sauna bathing may have remarkable health effects. According to the Journal of the American Medical Association Internal Medicine, sauna bathing reduces fatal cardiac events and all cause mortality. The study was quite large using 2,315 men ages 42-60 from eastern Finland. The study shows a 23% and 48% reduction of fatal cardiac heart disease (CHD) by using the sauna 2-3 times and 4-7 times per week respectively. Compared to men going 1 time per week, there is a 27% and 24% decrease risk for fatal cardiovascular death (FCD) and all cause mortality (ACM) respectively for 2-3 sauna sessions. Furthermore, 4 sauna sessions or more decreased the risk of FCD and ACM by a 2 fold average. Those are impressive numbers considering you sit in a room for 20 minutes. Scientists aren’t sure why sauna sessions reduce the risk of cardiac and all cause mortality. Most believe that sauna sessions increase blood vessel function. Previous studies show positive effects with many vascular and heart functions. Finnish saunas use dry heat to make you sweat. It’s like using a heater. Wet saunas use water and heat to create humidity to heat your body. Thus, you may not get the same beneficial effects using a wet sauna. In conclusion, more investigation is needed involving sauna bathing and vascular function.